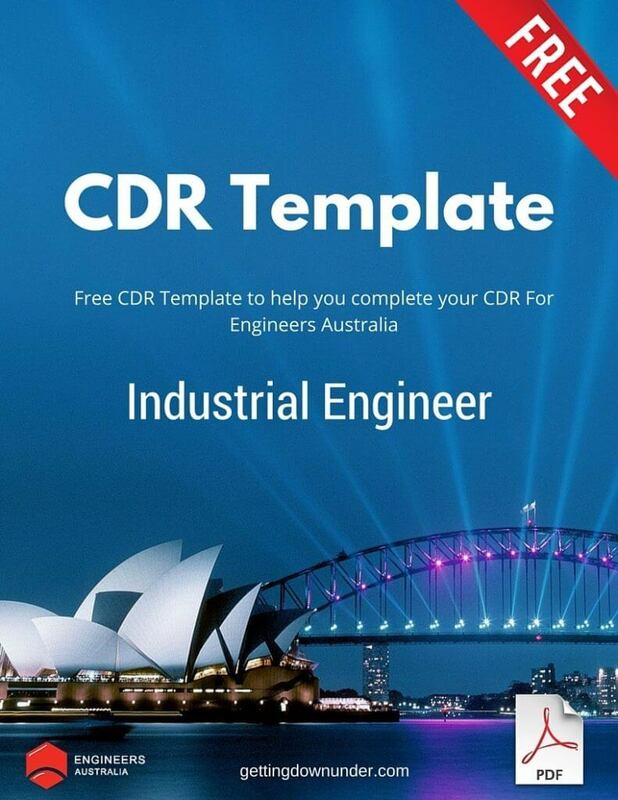 If you are a qualified industrial engineer looking to emigrate to Australia then download this free Industrial Engineer Competency Demonstration Report (CDR) template to help you get started. The Competency Demonstration Report (CDR) is the technical report required by Industrial Engineer for Engineers Australia (EA) membership and Australian Skilled Migration. It is the document to assess the engineering degrees of the engineers from such institutions or countries which are not the members of Sydney Accord, Washington Accord, or Dublin Accord. Some of these countries include Pakistan, India, Bangladesh, China, Sri Lanka etc. A industrial engineer applicant who submits a CDR for skills assessment to Engineers Australia must make a signed declaration stating that the CDR is all their own work and is a true representation of their personal competence. If someone gets their CDR written by someone else or copies a CDR, then the declaration which the applicant will be signing and submitting with their application will be false. To Avoid people linking directly to our downloads we will email you a unique link where you can download your free Industrial Engineer CDR. Simply click the “Add to Cart’ button on this page and process to the “checkout” page where you will be asked to confirm your email. Once submitted we will email you a unique link to enable you to download your free Industrial Engineer CDR. You should receive your email confirming your download instructions immediately although please allow 30 minutes for delivery. Please note that this download link is only valid for 24 hours so please download the link promptly.